It is another busy start to the week at Otterbourne! Today in assembly we looked at the meaning of tolerance and how we can be tolerant towards one another at Otterbourne, and beyond, a theme that we will continue to explore throughout the week. 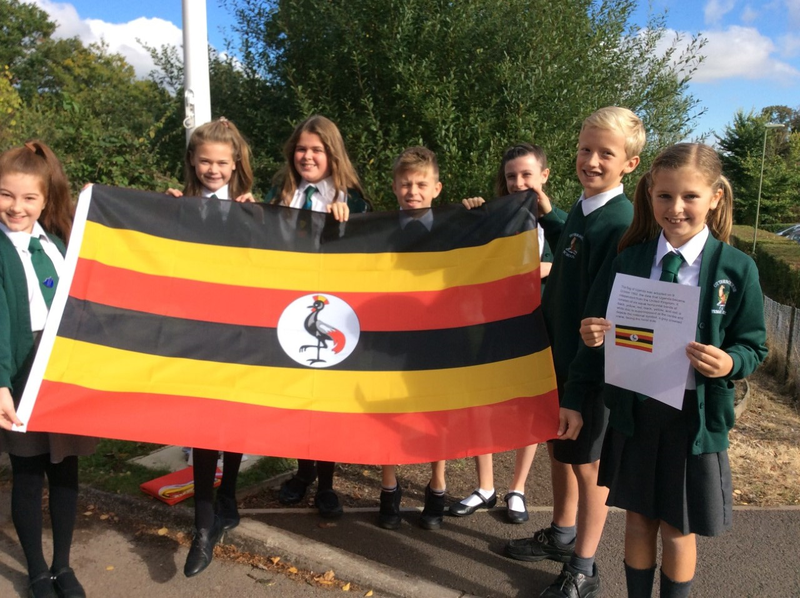 Following assembly House Captains helped to raise the Ugandan flag in recognition of the major national holiday on 9 October during which Uganda celebrated its Independence Day, and total independence from Great Britain gained in 1962. Miss Pascall joined the group to recall some nostalgic moments of her time in Uganda and pupils learned about the origins and meaning of the Ugandan Flag.